Our furry four legged companions often feel like part of the family for pet owners. As such it is often hard leaving them at home while the rest of the family goes on vacations or trips to another city or to a country setting. Flying with a pet is a possibility, but you are usually riddled with lots of preparation and must have a lot of patience. The friendly skies can quickly become an impediment due to expensive air fares, flight delays and crowded airports. 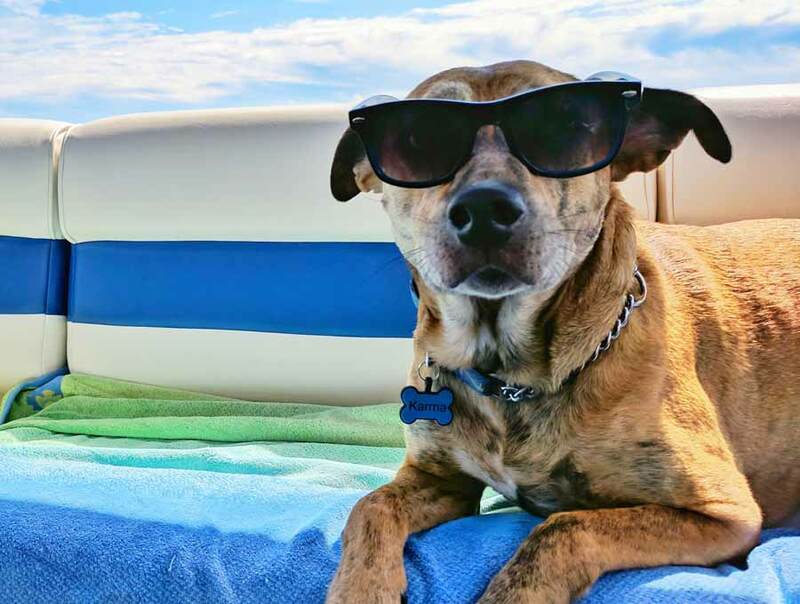 These things can easily take their toll on a even the well-seasoned traveller, and they are only magnified in your pet, which is why most pet owners resolve to leave their pets at home to negate having to deal with these issues. However, seeing as much of the problem can be quickly resolved by adequate planning, we have listed a few things below that you might keep in mind to help make flying with your pet as effortless and comfortable as possible. It’s important to know that different airlines have different policies when it comes to travelling with your canine companion. Some airlines are open to pampering your pup in the first class cabin, while others won’t let them into the airplane at all. Aside from limited space, some airlines try to avoid having any liability issues that might arise from allowing your dog onboard. Moreover, while certain airlines are open to carrying pets, they still have certain restrictions against flying certain breeds, such as those breeds with smaller airway passages which can cause breathing problems when flying at high altitudes. 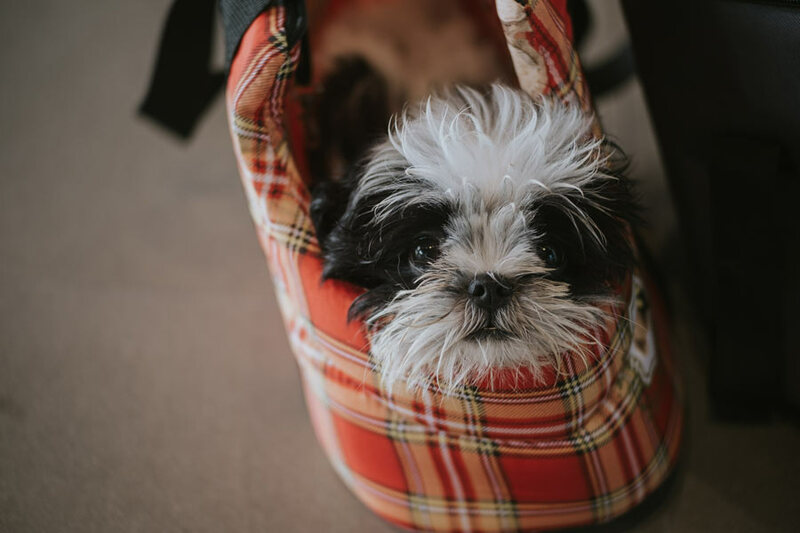 If this will be your dog’s first time flying in an airline cabin or in cargo, it is important to prepare them weeks in advance in order to have a smooth and comfortable flight. The first thing you should do is to crate train your dog. Once you have purchased an appropriate travel crate, ensure that they can stand, move around and sleep in it comfortably. Make sure that your dog is comfortable being alone in the crate, which might possibly be tucked underneath the seat. Train your dog well in advance to be comfortable being alone in the crate for a few hours. Airports tend to be crowded and airplanes tend to be noisy, and that can be a scary experience for your pet. To make the experience easier, you can try to desensitize your dog to loud noises in advance from your own house by playing loud noises of crowded airports or flights taking off. Some people avoid eating a few hours before their flight in order to avoid an upset stomach while flying. The same principle could apply to your pet companion. Dogs are resilient and can effortlessly handle not eating or drinking for a few hours. This however doesn’t mean that your dog should be dehydrated. Give your pup some just a little bit of water before and during the flight. Be careful about feeding any food to your dog. Should they decide to eat it, their nerves could get the better part of them and they could leave a not so clean cabin or cargo area. Even more serious, they could choke on the food and this could easily go unnoticed for the entire flight. On the day of the flight its important to walk your dog or engage them is some playtime so that they are tired and more likely sleep throughout the flight. This little exercise also boosts their circulation, negating the effects of laying down for long hours on a flight.